CBS reported this morning that the cost to fight the fires is now $150 million a week. Is this US-Wide or just the Pacific Northwest? Seems like fires this year will be on Jeff Master’s list of 1 billion dollar + disasters. Nation wide I believe, they mentioned the 7.1 million acre figure along with the dollar number. It’s a serious operation to contain these fires… And that after huge amounts of money and resources spent attempting to prevent them in the first place. I’ve been hunkered down now for about a month in this smoke here in northern Cal, in Trinity County with three fires around me. The fires are too close to leave the farm, (as we may have an evacuation order, and it’s a farm with animals to move), but too damn smoky to work outside. On the bright side, all of my pending paper work is done…..some of it going back years….now I’m down to cleaning the house. However, I can’t say enough good things about these fire crews. Wow, Loni. Sounds like your farm’s a ship tossed about in this firestorm. Best hopes for you guys. As long as that ridge and related hot water remain in place, there’s quite a potential for trouble. Above map is for Washington and Oregon only. Hi Loni. (And anyone reading this.) Do you have a proper protective dust mask? Are they talked about? All news and public notices tell ‘sensitive’ people to avoid the smoky air (disengagement) BUT, to their shame, no mention of protective (common sense) defenses such as N95 masks. Every family should acquire a gross of them. For years, I’ve had a supply on hand as I’ve dealt with urban aerosol pollution and wildfire smoke. Here’s a link I find helpful. I completely agree with DT re: the N95 mask. Just last night a Pedi Infectious Disease specialist(friend) told me that the other masks give people a false sense of security because they’re made to protect the “patient” from your aerosols—not the wearer from the external elements. I must edit better before I submit. Should read: “the other masks give people a false sense of security. Instead of protecting you the wearer, they were constructed to protect the “patient.” And that’s why she also rec’s an N95 mask for protection of the wearer from airborne pathogens. Is it so bad that people in many places are now wearing masks for protection? Robert, DT can confirm but I would absolutely that hope many are. Oh my, the poor infants/children exposed for days and days to this…and there’s just so much that you can seal your home in this heat. Again, confirmation needed, but I wouldn’t be surprised to hear ERs are busy with smoke inhalation consequences(asthma, etc). Loni, I feel for you and your family. What an ordeal. Yes, we do not know you, but we know of your fear and of your resolve. Here is a list of mass die offs so far this year just to put things into perspective as to how far along we are in this roller coaster. I’m sorry about the length of the post. I wish it was shorter, as that would imply less events. 20th August 2015 – 500+ dead birds found on the streets in Tulsa, Oklahoma, America. 20th August 2015 – MASSIVE amount of dead fish wash ashore in a river in Tianjin, China. 19th August 2015 – TONS of dead herring appear in a port, ‘a mystery’, in Orust, Sweden. 18th August 2015 – 40+ TONS of dead fish in a lake in Jalisco, Mexico. 18th August 2015 – Die off of fish wash up again on Lake Elsinore in California, America. 17th August 2015 – 8 sea lions, 6 pelicans and 1 dolphin found dead, ‘starving, no food’ along coast of Trujillo, Peru. 16th August 2015 – Thousands of dead fish found in a canal in Roeselare, Belgium. 16th August 2015 – Hundreds of kilos of dead fish ‘due to drought’ in the waters of Dieburg, Germany. 15th August 2015 – Tons of dead fish found floating in a canal in Lam Luk Ka, Thailand. 14th August 2015 – Hundreds of dead fish found in a pond and river in Dallas, America. 13th August 2015 – 21 dead whales have been found during the past month in southeast Alaska, America. 13th August 2015 – 32 dead dolphins have washed up THIS MONTH, ‘something is wrong’, along the coast of Bulgaria. 13th August 2015 – 4 dead humpback whales found washed up in British Columbia, Canada. 13th August 2015 – 4 Whales stranded, 3 dead on the coast of New Taipei, Taiwan. 13th August 2015 – Tens of thousands of fish have died (3rd mass die off this year) in a lake in Mandalay, Myanmar. 13th August 2015 – Hundreds of dead herring found washed up on a beach in Unalaska, Alaska, America. 13th August 2015 – Large numbers of fish dying off in south-central Alaska, America. 13th August 2015 – Die off of several species of fish found along 3 miles of river in Iowa, America. 13th August 2015 – Hundreds of achovies wash up in Monterey Harbor in California, America. 12th August 2015 – Masses of dead fish and shellfish wash ashore on beaches in Comacchio, Italy. 12th August 2015 – Thousands of dead fish wash up in the Ardila River in Portugal. 12th August 2015 – Masses of dead fish, plus dead pelicans wash ashore in La Brea, Trinidad and Tobago. 12th August 2015 – 512,000 birds killed due to avian flu in Sinaloa, Mexico. 12th August 2015 – Massive die off of fish in fish farms in Lampung, Indonesia. 11th August 2015 – Hundreds of cattle dying daily ‘due to lack of rain’ in Afar Region, Ethiopia. 11th August 2015 – Sea birds and dolphins washing up dead, ‘dying of hunger’ in La Libertad, Peru. 11th August 2015 – Thousands of dead fish found in a creek in Georgia, America. 11th August 2015 – Large amount of dead fish found floating in river in Anhui, China. 10th August 2015 – 170,000 lbs of fish have died in a reservoir in Jiangxi, China. 9th August 2015 – Mass die off of crayfish, shrimp and shellfish in Chachoengsao Province, Thailand. 9th August 2015 – Thousands of dead fish found in the waters of Quintana Roo, Mexico. 8th August 2015 – Thousands of dead fish wash up on beaches in the Gulf of Morrosquillo, Colombia. 8th August 2015 – 10,000 kgs of fish have suddenly died in Nanjing, China. 7th August 2015 – Hundreds of fish die in a pond in Culemborg, Netherlands. 7th August 2015 – Mass die off of fish in a river in Phichit Province, Thailand. 6th August 2015 – 5,400 rainbow trout dead ‘due to heat’ in a hatchery in Washington. 5th August 2015 – 81,000 cattle dead due to flooding in Gujarat, India. 5th August 2015 – 1,000 lbs of fish have died in Lake Elsinore, California, America. 4th August 2015 – Dozens of sea birds washing up dead along beaches in Homer, Alaska, America. 4th August 2015 – 6 Whales dead after 16 became stranded in Cape Breton, Canada. 3rd August 2015 – Large fish kills washing up in Orange Beach, Alabama, America. 3rd August 2015 – Hundreds of dead fish found in a creek in Castelnuovo, Italy. 2nd August 2015 – Hundreds of dead fish found in a lake in Florida, America. 2nd August 2015 – Hundreds of birds killed in hail storm in Liangshan, China. 1st August 2015 – 3,400 TONS of fish suddenly die in Qinzhou, China. 31st July 2015 – 1,000+ sheep have died, ’emergency declared’ in Zhanakorgan District, Kazakhstan. 31st July 2015 – Thousands of dead fish found in a river in Minnesota, America. 30th July 2015 – Thousands of dead fish found in a swamp in Sucre, Colombia. 28th July 2015 – 5,000 sheep have died, ‘reason unknown’ all across Iceland. 28th July 2015 – Thousands of dead crabs wash ashore in New Jersey, America. 28th July 2015 – 30 TONS of fish have died in ponds in Suqian, China. 28th July 2015 – Hundreds of thousands of sockeye salmon dying in the Columbia River, America. 28th July 2015 – TONS of dead fish ‘due to pollution’ in a river in Tomar, Portugal. 27th July 2015 – 10,200 hens killed due to avian flu in Emsland, Germany. 27th July 2015 – Mass stranding of various dead fish in Juan Griego, Venezuela. 26th July 2015 – Thousands of sheep dead ‘due to cold’ in Junin, Peru. 26th July 2015 – Hundreds of dead fish found floating in a river in County Down, Ireland. 26th July 2015 – Massive die off of shrimp due to disease in Chitalmari Upazila, Bangladesh. 25th July 2015 – Mass die off of fish and shrimp in a river in Meulaboh, Indonesia. 24th July 2015 – Tens of thousands of dead large black sea snails wash ashore on beaches in Florida, America. 24th July 2015 – Large die off of birds, plus fish and sea mammals at Aleutian Islands, Alaska, America. 24th July 2015 – Hundreds of wild birds dead from avian flu in Tibet and Inner Mongolia, China. 23rd July 2015 – 52 Bison dead due to disease outbreak in Wood Buffalo National Park, Canada. 23rd July 2015 – Hundreds of dead fish found in a pond in Pilibhit, India. 23rd July 2015 – Thousands of dead fish found in a channel in California, America. 22nd July 2015 – Dozens of Stingrays found dead, ‘very rare phenomenon’ on a beach in Vitoria. 22nd July 2015 – Thousands of dead fish wash up in a lake in Wuhan City, China. 22nd July 2015 – 100+ Buffaloes and 2 Rhinos dead from outbreak of disease in Lake Nakuru National Park, Kenya. 22nd July 2015 – Mass die off of fish in the river Nile in Rosetta, Egypt. 22nd July 2015 – Hundreds of dead fish found in a river in Anleo, Spain. 22nd July 2015 – Die off of fish is ‘unusual’ in the waters of Snappertuna, Finland. 21st July 2015 – Hundreds of dead fish found in a stream in a park in Bishan-Ang Mo Kio Park, Singapore. 20th July 2015 – 40 dead turtles found on the coast of Veracruz, Mexico. 20th July 2015 – Thousands of fish turning up dead in lakes in Illinois, America. 20th July 2015 – Massive die off of fish in a reservoir in Nanyang city, China. 19th July 2015 – 50 dead turtles found in a lake in Kiev, Ukraine. 18th July 2015 – 60 dead turtles found during past 3 weeks in Venice, Italy. 18th July 2015 – Hundreds of dead fish found in the waters of Breda, Netherlands. 18th July 2015 – Thousands of fish killed ‘due to pollution’ in Al Qatif, Saudi Arabia. 16th July 2015 – 80 dead sturgeon found in a river, ‘a mystery’ in Oregon, America. 16th July 2015 – Hundreds of dead fish found in a pond in Bristol, England. 14th July 2015 – 3 dead leatherback turtles found washed up on a beach in Trinidad and Tobago. 14th July 2015 – Massive die off of fish in fish farms in Phibun Mangsahan District, Thailand. 13th July 2015 – 171,850+ alpaca have died ‘due to snow and cold’ in Puno, Peru. 13th July 2015 – Mass die off of turtles ‘is a mystery’ in Wellfleet Bay, Massachusetts, America. 13th July 2015 – Mass die off of fish in a river in Penang, Malaysia. 13th July 2015 – Mass die off of fish in a lake in Quang Nam Province, Vietnam. 13th July 2015 – 25 TONS of fish have died in a reservoir in Guangxi, China. 12th July 2015 – 5 more dead whales found, ‘scientists puzzled’ in Alaska, America. 12th July 2015 – Several TONS of dead fish wash up along the coast of Chiapas, Mexico. 12th July 2015 – UPDATE: 1.4 MILLION+ chickens have been killed this year due to avian flu across Nigeria. 12th July 2015 – Thousands of dead fish found floating in the waters of Kwun Tong, China. 11th July 2015 – 170,000 birds to be killed due to avian flu in Lancashire, England. 11th July 2015 – Thousands of dead fish found in a river in Tucuman, Argentina. 10th July 2015 – Thousands of fish die due to algae bloom in a lake in Iowa, America. 10th July 2015 – 4 TONS of fish die in a lake ‘due to pollution’ in Tukums, Latvia. 10th July 2015 – Hundreds of dead fish found floating in a canal in Brussels, Belgium. 10th July 2015 – 600+ trout found dead in a river in Aveze, France. 9th July 2015 – Thousands of eels die in a river, ‘a mystery’ in Termunten, Netherlands. 8th July 2015 – 1,500 dead fish found in a river in Suffolk, England. 8th July 2015 – Hundreds of dead fish found in a lake in Colorado, America. 8th July 2015 – Hundreds of dead fish found in a river in Jura, France. 8th July 2015 – 40,000 fish have died in a dam in Junqueiro, Brazil. 7th July 2015 – 150,000+ dead fish washing up along Neuse River in Craven County, N.Carolina, America. 7th July 2015 – Thousands of dead fish and dozens of dead birds found in a lake, ‘a mystery’ in London, England. 7th July 2015 – 500,000 fish to be killed due to disease in Vikna, Norway. 7th July 2015 – Massive die off of shrimp in 50 square kilometers in Soc Trang, Vietnam. 6th July 2015 – Large amount of dead fish wash ashore on a beach in Chonburi Province, Thailand. 6th July 2015 – Hundreds of dead fish found in the Ganges river in India. 6th July 2015 – Mass die off of fish in a lake in Nanhai District, China. 5th July 2015 – Hundreds of dead fish found in a river in West Virginia, America. 5th July 2015 – Massive die off of fish in a river in Quanzhou, China. 4th July 2015 – 8,000 sardines found dead in a reservoir in Toa Alta, Puerto Rico. 4th July 2015 – 1 whale, 2 sea lions and 30 sea birds found dead on a beach in Tacna, Peru. 3rd July 2015 – Thousands of fish die in the Porong River in Java, Indonesia. 2nd July 2015 – Large number of song birds found dead in Idaho, America. 2nd July 2015 – 300 birds fall dead from sky, ‘reason unknown’ in San Lorenzo, Honduras. 2nd July 2015 – 3000 TONS of fish have died in a lake in Castanhao, Brazil. 2nd July 2015 – Hundreds sheep, camel and cattle dead due to ‘cold weather’ in Pasco Region, Peru. 2nd July 2015 – Thousands of fish die in a river in Saronno, Italy. 1st July 2015 – 37 turtles found dead on a beach in Christ Church, Barbados. 1st July 2015 – 4,000+ dead fish wash up in a lagoon in Malambo, Colombia. 1st July 2015 – Thousands of dead jellyfish cover beaches in North Devon, England. 1st July 2015 – Tens of thousands of fish dead in a reservoir due to storms in Sichuan, China. 1st July 2015 – Large die off of fish, eels and frogs in a river in Tursi, Italy. 30th June 2015 – Thousands of dead fish wash ashore in a river in Tasmania, Australia. 29th June 2015 – Large amount of dead fish wash ashore on Lake Camanche in California, America. 29th June 2015 – 9 Lions and over 500 blue bulls dead from flooding in Gujarat, India. 29th June 2015 – Hundreds of dead fish wash ashore in Kahramanmaras, Turkey. 29th June 2015 – Large die off of fish ‘due to drought’ in Serang Baru, Indonesia. 28th June 2015 – Large amount of dead fish wash up on a beach in Taichung, Taiwan. 26th June 2015 – Large die off of fish in Mystic River, ‘worst in 60 years’ in Massachusetts, America. 25th June 2015 – Hundreds of giant frogs found dead and dying due to pollution in Lake Titicaca, Bolivia. 25th June 2015 – Hundreds of thousands of mussels wash ashore, ‘something is wrong’, in Cape Town, South Africa. 25th June 2015 – Hundreds of cattle dying due to drought in Cordoba, Colombia. 25th June 2015 – Thousands of jellyfish wash up in Saint-Brevin, France. 25th June 2015 – Hundreds of dead fish washing up in the Hudson River in New York, America. 25th June 2015 – Tons of dead fish found in a river in Quang Nam Province, Vietnam. 24th June 2015 – Thousands of silkworms die from ‘mysterious disease’ in Kupwara, India. 24th June 2015 – Thousands of fish and crabs wash ashore in Mississippi, America. 24th June 2015 – 1,000+ TONS of salmon have died off in two fish farms in Vancouver, Canada. 24th June 2015 – Hundreds of dead fish found in lakes in Welwyn Garden City, England. 24th June 2015 – Thousands of dead fish found on the beaches of Oleron Island, France. 23rd June 2015 – Large die off of fish in Wascana Creek, Regina, Canada. 23rd June 2015 – Massive die off of fish in a canal in Nakhon Ratchasima, Thailand. 22nd June 2015 – Mass die off of fish in a lake in Chelyabinsk, Russia. 21st June 2015 – Large die off of fish in a lake in Wuhan, China. 21st June 2015 – Tons of dead fish in the Gulf of Fonseca in Honduras. 19th June 2015 – Massive fish kill in the waters of Cienaga Grande, Colombia. 19th June 2015 – 3,600 birds killed due to avian flu in the Volta Region, Ghana. 19th June 2015 – Hundreds of spring chinook salmon turning up dead in Oregon rivers, America. 19th June 2015 – Massive die off of fish ‘due to heat’ in Ifugao, Philippines. 18th June 2015 – 9+ endangered whales found dead during the past few weeks in Alaska, America. 18th June 2015 – Thousands of dead fish line the banks of a dam in Jaguaribara, Brazil. 18th June 2015 – Hundreds of fish dying every day in the Pahang River, Malaysia. 17th June 2015 – Thousands of fish dead due to flooding in Grayson County, Texas, America. 17th June 2015 – 200,000 Chickens to be killed due to another outbreak of avian flu in Nebraska, America. 17th June 2015 – 16,000 pigs dead, due to flooding in Guangxi, China. 16th June 2015 – Thousands of dead jellyfish wash up on a beach in Camarthenshire, Wales. 16th June 2015 – Thousands of dead fish found floating in a river in Berlin, Germany. 16th June 2015 – 1 MILLION chickens to be killed due to new outbreak of avian flu in Iowa, America. 16th June 2015 – Thousands of dead fish found in a river in Sarcedo, Italy. 16th June 2015 – Massive fish kills due to virus in Westland, Netherlands. 15th June 2015 – Dozens of giant purple sea slugs washing ashore in Alameda, California, America. 15th June 2015 – Massive die off of fish in ponds right across Leizhou in China. 15th June 2015 – Thousands of dead fish in another fish kill on Peconic River in New York, America. 15th June 2015 – 23,500 birds killed due to new outbreak of avian flu in Taiwan, China. 14th June 2015 – 8,500 Chickens killed due to avian flu in Gaza, Palestine. 13th June 2015 – Massive die off of fish in a lake in Xiamen, China. 12th June 2015 – 40,000 kgs of fish die in ponds ‘a mystery’ in China. 12th June 2015 – Thousands of dead crabs wash up on beaches in San Diego, America. 11th June 2015 – Dozens of Penguins wash up dead on beaches in Rocha, Uruguay. 11th June 2015 – Hundreds of dead fish found washed up on a beach in Rivedoux, France. 10th June 2015 – Thousands of dead fish found in a river in Limerick, Ireland. 9th June 2015 – 10,000 dead fish found on a beach in Saint-Froult, France. 9th June 2015 – 900,000 chickens to be killed due to avian flu in Nebraska, America. 9th June 2015 – Hundreds of fish are dying in Clear Lake in California, America. 8th June 2015 – Hundreds of dead fish washing up on beaches in Florida, America. 8th June 2015 – Tens of thousands of dead fish wash up, ‘a mystery’ in Stanley, Hong Kong, China. 8th June 2015 – Hundreds of dead fish found in a river in Paysandu, Uruguay. 7th June 2015 – Large die off of fish in a reservoir in Shangrao, China. 6th June 2015 – Large fish kill in a lake in Mattoon, Illinois, America. 4th June 2015 – 120,000 birds killed due to avian flu in Mudanya, Turkey. 4th June 2015 – UPDATE: 127,000+ antelope dead in a ‘sudden die off’ in Northern Dead Antelope in KazakhstanKazakhstan. 3rd June 2015 – 415,000 chickens to be killed due to new outbreak of avian flu in Minnesota, America. 3rd June 2015 – Tons of dead fish found in a lake in Aldama, Mexico. 3rd June 2015 – Hundreds of dead fish appear in the waters of Michoacan, Mexico. 2nd June 2015 – 21 pilot whales stranded, 10 dead so far in Skye, Scotland. 2nd June 2015 – Hundreds of dead turtles found along a lake in Ezhou, China. 2nd June 2015 – 57,000 birds to be killed due to new outbreak of avian flu in Iowa, America. 1st June 2015 – Thousands of dead fish found floating in a lake in Nan Province, Thailand. 1st June 2015 – Hundreds of dead fish found washed up along Big Bear Lake in California, America. 1st June 2015 – Large die off of fish along 2km of river in Parvomay, Bulgaria. 1st June 2015 – Large die off of fish in a river near Rennes, France. 31st May 2015 – 80 Kites found dead ‘a mystery’ in Tumkuru, India. 30th May 2015 – Dozens of dead penguins found on a beach in Rio Grande do Sul, Brazil. 30th May 2015 – Thousands of dead fish found washed ashore on a river in Rhode Island, America. 30th May 2015 – Tens of thousands of dead fish found washed up along Flanders bay in New Dead Fish in Flanders BayYork, America. 29th May 2015 – 300 TONS of fish ‘die suddenly’ in Ogan Ilir Regency, Indonesia. 29th May 2015 – 10 dead dolphins wash ashore in Mumbai, India. 29th May 2015 – 50,000 birds to be killed due to another outbreak of avian flu in South Dakota, America. 28th May 2015 – 270 TONS of salmon are dead due to storms in Tasmania, Australia. 28th May 2015 – Thousands of dead fish wash up in various locations in Connecticut, America. 28th May 2015 – Mass die off of anchovies due to algae bloom in Monterey Bay, California, America. 28th May 2015 – Masses of shellfish found dead ‘is a mystery’ on the coast of Ngunguru, New Zealand. 28th May 2015 – 3 Million hens to be killed due to another outbreak of avian flu in Nebraska, America. 28th May 2015 – Fish kill found in a river in Alandi, India. 28th May 2015 – 35,000+ chickens killed due to avian flu in Accra, Ghana. 27th May 2015 – Thousands of fish have died in a river in southern Mexico. 27th May 2015 – Hundreds of dead fish found in a river in Darlington, England. 27th May 2015 – 12 dead whales have washed up during past couple months in California, America. 27th May 2015 – Large amount of dead fish found in a river in Gandevi, India. 26th May 2015 – Thousands of sheep dying from ‘unknown disease’ in Uplistsikhe, Georgia. 26th May 2015 – Thousands of dead lobsters wash up on the coast of Baja California, Mexico. 26th May 2015 – 975,000 hens to be killed due to new outbreak of avian flu in Iowa, America. 26th May 2015 – Mass die off of fish in a pond in Dongxing, China. 24th May 2015 – Hundreds of dead fish found floating in a dam in Evora, Portugal. 22nd May 2015 – Massive die off of fish in a lake in Haikou, China. 22nd May 2015 – 2,000 dead fish found floating in a lake in Georgia, America. 21st May 2015 – Hundreds of fish die suddenly in a lake in Florida, America. 21st May 2015 – Thousands of dead fish wash ashore in Isla Mujeres, Mexico. 21st May 2015 – Large die off of fish in a river in Nakhon Nayok Province, Thailand. 20th May 2015 – Tens of thousands of fish have died in a canal in Ho Chi Minh City, Vietnam. 19th May 2015 – Hundreds of thousands of oysters dead due to storm in New South Wales, Australia. 19th May 2015 – 1.3 MILLION birds to be killed due to avian flu in South Dakota, America. 19th May 2015 – Hundreds of dead fish appear in a stream in Montemorelos, Mexico. 18th May 2015 – Tens of thousands of fish have died in Xiangcheng District, China. 18th May 2015 – Hundreds of dead fish found in a lake in Ridley Park, Pennsylvania, America. 18th May 2015 – 1300+ sea birds found dead on beaches in Hualpen, Chile. 16th May 2015 – Dozens, maybe HUNDREDS of turtles washing up dead along Flanders bay in New York, America. 16th May 2015 – 2 MILLION birds to be killed due to avian flu in Minnesota, America. 15th May 2015 – Hundreds of dead fish found in a canal in Aiea, Hawaii, America. 15th May 2015 – Mass die off of fish washes ashore in Canakkale, Turkey. 14th May 2015 – Hundreds of dead fish found floating in a river in Macao, Portugal. 14th May 2015 – Thousands of fish dead from disease in Cayuga Lake, New York, America. 13th May 2015 – 115,000 birds to be killed due to avian flu in South Dakota, America. 13th May 2015 – Thousands of dead fish found washed up on a beach in Lorento, Mexico. 12th May 2015 – 200+ Camels dead, hundreds others sick from ‘mystery disease’ in Punjab, Pakistan. 12th May 2015 – 1.7 MILLION birds to be killed due to avian flu in Nebraska, America. 12th May 2015 – 1,000 birds dead, 12,000 killed due to avian flu in Betzet, Israel. 12th May 2015 – 20 TONS of dead fish found floating in a lagoon in Ursulo Galvan, Mexico. 12th May 2015 – Large amount of dead fish found in a river in Shenzhen, China. 12th May 2015 – 3 TONS of dead fish found in the waters in Lonate Pozzolo, Italy. 11th May 2015 – UPDATE: 5.7 MILLION birds now killed (or to be), after new outbreak in Minnesota, America. 11th May 2015 – Hundreds of dead fish washing up in Hamilton, Bermuda. 11th May 2015 – Mass die off of fish in fish farms in Xingbin District, China. 10th May 2015 – Thousands of dead fish wash up in the fjords of More og Romsdal, Norway. 9th May 2015 – 2 TONS of fish have died in the Vam Co Dong River in Vietnam. 8th May 2015 – 4 MILLION birds to be killed in new outbreak of avian flu in Iowa, America. 8th May 2015 – 600,000 birds killed due to avian flu in Belize. 8th May 2015 – Dozens of dead waterbirds found washed ashore, ‘never seen before’ in Tonawanda, New York, America. 7th May 2015 – 400,000 birds killed since January due to avain flu in Plateau State, Nigeria. 7th May 2015 – 500+ cattle dead due to flooding in New South Wales, Australia. 7th May 2015 – Die off of ducks ’causes concern’ on a lake, ‘never seen before’ in St Petersburg, Florida, America. 6th May 2015 – Hundreds of turtles continuing to die due to mysterious illness along the Bellinger River in NSW, Australia. 6th May 2015 – Mass die off of fish in a river in Zhangzhou, China. 5th May 2015 – Millions more birds infected with avian flu, 20 MILLION total, in Iowa, America. 5th May 2015 – Large amount of dead fish wash ashore again on San Roque Lake, Argentina. 5th May 2015 – Dozens of dead sea birds found at the mouth of a lagoon in Naples, Italy. 4th May 2015 – 152 dead or dying Penguins found along the coast during past 2 months, ‘all malnourished’ in Tres Arroyos, Argentina. 3rd May 2015 – 70,000 birds killed due to avian flu in Balikesir, Turkey. 3rd May 2015 – Large die off of fish in a river in Qingdao, China. 1st May 2015 – 16 MILLION birds to be killed from outbreak of avian flu, ‘state of emergency’ in Iowa, America. 1st May 2015 – Thousands of dead fish found in Krishna river in India. 30th April 2015 – Large die off of fish found in the waters of Bocas del Toro Province, Panama. 30th April 2015 – Hundreds of fish dead due to algae in a lake in Jalisco, Mexico. 30th April 2015 – Hundreds of dead fish wash up in a river in Ho Chi Minh City, Vietnam. 29th April 2015 – Large die off of fish in a creek in Prachuap Khiri Khan, Thailand. 28th April 2015 – 20 MILLION fish have died due to volcano eruption in Los Lagos, Chile. 27th April 2015 – 200,000 birds to be killed in new outbreak of avian flu in Minnesota, America. 26th April 2015 – 2 TONS of fish, frogs and birds found dead on the shores of Lake Titicaca in Bolivia. 26th April 2015 – 8,000 Turkeys to be killed due to another outbreak of avian flu in Ontario, Canada. 25th April 2015 – Fish kill along the shores of a lake in Florida, America. 25th April 2015 – 71,000 birds to be killed due to avian flu in North Dakota, America. 25th April 2015 – Large die off of fish in a river in Harbin, China. 24th April 2015 – 2.6 MILLION birds killed due to avian flu, ‘state of emergency’ in Minnesota, America. 24th April 2015 – 4 dead whales wash ashore this month ‘is a mystery’ in Northern California, America. 24th April 2015 – 400 animals dead after flooding in Torres del Paine National Park, Chile. 23rd April 2015 – Thousands of dead starfish found on a beach in Cumbria, England. 22nd April 2015 – Hundreds of thousands of fish have died in farms along a river in Saraburi Fish dead in ThailandProvince, Thailand. 22nd April 2015 – Thousands of dead fish found washed up, ‘a mystery’ in Molde, Norway. 22nd April 2015 – Thousands of dead fish washing up on Ridgebury Lake in New York, America. 22nd April 2015 – 60,000 birds to be killed due to new outbreak of avian flu in Wisconsin, America. 22nd April 2015 – Large amount of dead fish washing ashore on Lake Champlain in Vermont, America. 22nd April 2015 – Hundreds of dead fish washing ashore in the waters of Hulan, China. 21st April 2015 – 5.3 MILLION hens to be killed due to avian flu in Iowa, America. 21st April 2015 – 4+ dolphins found washed up dead along the coast of Asturias, Spain. 21st April 2015 – Mass die off of fish occuring in a river and reservoir in Magdalena, Colombia. 21st April 2015 – Mass die off of fish in the Bobos river ‘is alarming’ in Mexico. 20th April 2015 – Thousands of dead fish wash up along a lake in Florida, America. 20th April 2015 – Die off of shrimp due to disease in the south of Belize. 20th April 2015 – Hundreds of dead fish found floating on a lake in Pennsylvania, America. 19th April 2015 – 27,000 Chickens to be killed due to avian flu in Oxford County, Ontario, Canada. 18th April 2015 – Large die off of fish in a harbor, ‘a disaster’ in Omsk, Russia. 18th April 2015 – Hundreds of marine mammals, including seals and whales have washed up dead during winter in Quebec, Canada. 18th April 2015 – 250,000+ birds dead due to more outbreaks of avian flu in South Dakota, America. 18th April 2015 – 1,000+ cattle have died ‘due to drought’ in Ninh Thuan Province, Vietnam. 17th April 2015 – Hundreds of dead fish wash up on Nuns’ Island in Quebec, Canada. 17th April 2015 – Hundreds of dead fish found in a pond in Bangalore, India. 17th April 2015 – Scores of dead dolphins and whales washing up ‘is strange’ along coast of France. 16th April 2015 – 200,000+ birds dead due to avian flu in Burkina Faso. 15th April 2015 – Thousands of fish dying due to algae in Norfolk, England. 15th April 2015 – Massive die off of fish in a reservoir in Longyan City, China. 15th April 2015 – Mass die off of fish along a canal in Ho Chi Minh City, Vietnam. 14th April 2015 – Hundreds of dead fish litter ponds across northern Pennsylvania in America. 14th April 2015 – 200,000 birds to be killed due to avian flu in Telangana, India. 13th April 2015 – Hundreds of birds killed in hail storm in Ahmedabad, India. 13th April 2015 – 20,000 birds dead, 180,000 to be killed due to bird flu in Wisconsin, America. 13th April 2015 – Hundreds of dead fish wash up on a lake in Connecticut, America. 12th April 2015 – Massive die off of jellyfish washed up on Rockaway Beach, Oregon, America. 12th April 2015 – Hundreds of thousands of fish have died suddenly in fish ponds in Guangdong, China. 11th April 2015 – 1.2 Million birds dead due to avian flu, ‘scientists puzzled’, in Midwest America. 10th April 2015 – Large die off of fish in a river in Deli Serdang Regency, Indonesia. 9th April 2015 – 2,440 birds dead due to avian flu on a farm in Maradi, Niger. 8th April 2015 – 139,000 cattle and 3.88 Million birds killed since December due to disease in South Korea. 8th April 2015 – Fish kills littering ponds in western New York, America. 8th April 2015 – Hundreds of dead fish line ponds across Massachusetts, America. 8th April 2015 – 40,000 chickens dead in Muritiba and Varzedo, Brazil. 7th April 2015 – 600+ Water birds found dead on a lake in North Dakota, America. 7th April 2015 – 7,500 turkeys dead due to avian flu in Ontario, Canada. 7th April 2015 – 5,000 dead fish found floating in a pond in Lampang, Thailand. 6th April 2015 – 7,600 Geese dead due to avian flu in Taiwan, China. 6th April 2015 – Massive fish kill in Kolleru Lake in India. 6th April 2015 – Hundreds of dead fish found floating in the Kali Bein in India. 6th April 2015 – 12,000 birds killed due to avian flu in North Brabant, Netherlands. 6th April 2015 – Thousands of dead fish found in the Tagus River in Portugal. 5th April 2015 – Masses of dead fish found in mangroves in Santos, Brazil. 4th April 2015 – Hundreds of dead fish found in the Tonto River in Mexico. 4th April 2015 – 55,000 birds killed due to disease in the Northern District of Israel. 3rd April 2015 – Fish kill found in La Cienaga dam in Argentina. 3rd April 2015 – Hundreds of dead fish found in Bethlehem Township pond, ‘never encountered before’ in Pennsylvania, America. 2nd April 2015 – Die off of sea birds along Seward City coast, ‘very thin and emaciated’ in Alaska, America. 2nd April 2015 – Tons of fish die suddenly in a pond in Hai Duong, Vietnam. 2nd April 2015 – Fish kill in Wascana Lake in Regina, Canada. 2nd April 2015 – 53,000 turkeys to be killed due to avian flu in South Dakota, America. 2nd April 2015 – Thousands of ‘blue button jellyfish’ wash ashore on Pensacola Beach, Florida, America. 1st April 2015 – 75,000 birds dead after heavy rains in Chimborazo, Ecuador. 1st April 2015 – Tons of fish have died in fish farms along a river in Saraburi, Thailand. 1st April 2015 – Dead fish washing ashore for the past week in a lake in New Jersey, America. 1st April 2015 – Hundreds of dead fish wash up along Elizabeth river in Virginia, America. 1st April 2015 – Major fish kill found in a canal in Portmore, Jamaica. 31st March 2015 – Large die off of blackbirds near Picher in Oklahoma, America. 31st March 2015 – 5,800 birds dead due to avian flu in Gaza, Palestine. 31st March 2015 – Hundreds of chickens ‘die suddenly’ in Kulon Progo, Indonesia. 30th March 2015 – Mass die off of scallops in the bay of Pisco-Paracas, Peru. 30th March 2015 – 4,000+ hens have died due to avian flu in Agra, India. 30th March 2015 – Hundreds of thousands of fish have died in a fish farm in South Bangka, Indonesia. 30th March 2015 – Large amount of dead fish wash up in Sao Pedro da Aldeia, Brazil. 29th March 2015 – 4 TONS of fish found dead in ponds in Xiangtan, China. 28th March 2015 – Hundreds of thousands of dead fish wash up in Santa Marta, Dead fish in Santa MartaColombia. 28th March 2015 – 22,000 birds dead, 80,000+ to be killed due to outbreak of avian flu in Minnesota, America. 28th March 2015 – 100 Pelicans found dead ‘due to avian flu’ in the Danube Delta, Romania. 27th March 2015 – Fish kills continue to wash ashore along the Derwent river in Tasmania, Australia. 27th March 2015 – Masses of dead fish wash ashore in a reservoir in Guangxi, China. 27th March 2015 – 22,000 hens to be killed due to avian flu in Tzummarum, Netherlands. 26th March 2015 – 60,000 dead fish ‘a mystery’ in Ormelle, Italy. 26th March 2015 – Large fish kill in Spencer lake in Ohio, America. 26th March 2015 – Large fish kill in a river and lagoon in KwaZulu-Natal, South Africa. 25th March 2015 – Mass die off of fish in Madison lake, Ohio, America. 24th March 2015 – Thousands of fish have died in the Vam Co Dong River, Vietnam. 23rd March 2015 – 20 Whales stranded, 12 dead in Bunbury Harbour, Australia. 21st March 2015 – 80 TONS of fish have died in a dam in Campoalegre, Colombia. 20th March 2015 – Die off of Geese ‘due to harsh winter’ across Rhode Island in America. 20th March 2015 – Hundreds of dead fish washing up every day at Geist Reservoir in Indiana, America. 20th March 2015 – 1,500 cattle dead due to drought in Bosconia, Colombia. 20th March 2015 – Fish kill on lake Jacqueline in Las Vegas, America. 19th March 2015 – Thousands of dead fish found covering part of the Kerian River in Dead fish in MalaysiaMalaysia. 19th March 2015 – Hundreds of ducks, other birds and eels found dead ‘due to disease’ in West Aukland, New Zealand. 19th March 2015 – Dozens of birds drop dead out of the sky in Hefei, China. 18th March 2015 – 50 TONS of fish have died in a lake in Dong Nai Province, Vietnam. 18th March 2015 – Thousands of dead fish found in a stream in Kielce, Poland. 18th March 2015 – Hundreds of birds killed due to avian flu in Thanh Hoa, Vietnam. 18th March 2015 – Hundreds of dead fish and a dolphin wash up along a beach in Outer Banks, N.Carolina, America. 18th March 2015 – Masses of dead fish continue to wash ashore in Montevideo, Uraguay. 17th March 2015 – 2,000+ snow geese drop dead out of sky in Idaho, America. 17th March 2015 – Hundreds of dead fish found in a canal in Tampico, Mexico. 16th March 2015 – Hundreds of birds dead from avian flu in Amethi, India. 16th March 2015 – Thousands of dead fish wash up in Kota Kinabalu, Malaysia. 15th March 2015 – Mass die off of cattle due to drought in Araucania, Chile. 15th March 2015 – Masses of dead fish appear again on the shores of Lake San Roque in Cordoba, Argentina. 15th March 2015 – 55 dolphins and 4 sea lions found dead on a beach in San Felipe, Mexico. 15th March 2015 – Hundreds of dead fish wash up along Chesapeake Canal in America. 15th March 2015 – Massive die off of fish in a lake in Xiamen, China. 14th March 2015 – Massive die off of Salmon occuring in Marlborough Sounds, New Zealand. 13th March 2015 – 80,000 birds killed due to more outbreaks of avian flu in Taiwan, China. 13th March 2015 – 50 cattle have died ‘mysteriously’ causing shock in a village in eastern Botswana. 13th March 2015 – Large die off of fish in a lake ‘due to disease’ in Reeuwijk, Netherlands. 12th March 2015 – 40,000 birds to be killed due to avian flu in Arkansas, America. 12th March 2015 – 30,000 birds killed due to avian flu in Barneveld, Netherlands. 12th March 2015 – Hundreds of dead fish found floating in a lake in Yate, New Caledonia. 11th March 2015 – Hundreds of TONS of clams have died off, ‘never happened before like this’ in Ha Tinh, Vietnam. 11th March 2015 – 200+ TONS of dead fish wash ashore along the coast of Montevideo, 200 Tons of dead fish in Uraguay. 10th March 2015 – Large die off of ducks during winter on Long Island, New York, America. 10th March 2015 – Hundreds of dead fish found floating in a pond in Uppsala, Sweden. 10th March 2015 – Tens of thousands of birds to be killed due to avian flu in Missouri, America. 9th March 2015 – Hundreds of dead turtles, plus hundreds of dead fish found in Bocas del Toro, Panama. 9th March 2015 – 250,000 birds killed due to avian flu in Monywa, Myanmar. 9th March 2015 – Hundreds of dead fish found on a beach in Tolu, Colombia. 9th March 2015 – 19 dead turtles found on Pulau Tiga Island in Malaysia. 9th March 2015 – 100+ cattle have died ‘due to suspected grass poisoning’ in Gujarat, India. 9th March 2015 – 10,000 fish have died in fish farms in Sikao, Thailand. 8th March 2015 – 550 dead animals (mainly deer) found, ‘due to snow and cold’ in Leon, Spain. 7th March 2015 – 1,450 Sea lion pups have washed ashore this year ill and dying – ‘possibly 10,000 have died’ in California, America. 7th March 2015 – Thousands of dead fish wash up in new die off in Lim Chu Kang, Singapore. 6th March 2015 – 600 TONS of dead fish due to algae in fish farms in the east of Singapore. 6th March 2015 – Massive die off of prawns, ’cause unknown’ in Aroor, India. 6th March 2015 – 15,000 turkeys dead due to avian flu in Minnesota, America. 6th March 2015 – Hundreds of cattle are dead due to drought in southern Ecuador. 6th March 2015 – 10,000+ cattle dead due to flooding of the river Ebro in Spain. 5th March 2015 – Thousands of dead fish wash up on beaches in Buenos Aires, Argentina. 5th March 2015 – 12 turtles stranded, 3 dead, on a beach in Abruzzo, Italy. 5th March 2015 – 9,000+ birds are dead due to another avian flu outbreak in Bauchi State, Nigeria. 5th March 2015 – Thousands of dead fish wash up along Derwent river in Tasmania, Australia. 5th March 2015 – Thousands of dead fish found in Cabo Frio, Brazil. 5th March 2015 – 1,100 Birds killed due to avian flu outbreak in Mekong Delta, Vietnam. 4th March 2015 – 4.17 MILLION birds have been killed since January due to avian flu in Taiwan, China. 4th March 2015 – 300 Snow Geese have died this winter due to disease in Illinois, America. 4th March 2015 – Thousands of dead fish found on coast of East Java, Indonesia. 4th March 2015 – 23,500 Birds to be killed due to avian flu in Schwanewede, Germany. 4th March 2015 – INFO: 30 dolphins/whales and 54 turtles wash up dead during 2014 in Abruzzo, Italy. 3rd March 2015 – ‘Lots’ of dead turtles found on a beach in Piacabucu, Brazil. 3rd March 2015 – Thousands of dead fish, plus dead ducks found in a lagoon in Buenos Aires, Argentina. 3rd March 2015 – Large die off of fish ‘due to cold weather’ at 3 sites in Nova Scotia, Canada. 3rd March 2015 – Hundreds of dead fish found floating in a river in Hainan, China. 2nd March 2015 – 100,000 ducks killed due to avian flu in Fuzesgyarmat, Hungary. 2nd March 2015 – Thousands of TONS of shellfish have died off during past few years in Whangarei Harbour, New Zealand. 2nd March 2015 – 3 dead whales found washed ashore in Chennai, India. 2nd March 2015 – Hundreds of dead fish found in a pond in Aguascalientes, Mexico. 2nd March 2015 – Thousands of dead fish found washed up along Columbia River in Portland, America. 1st March 2015 – Dozens of birds drop dead out of the sky in Tennessee, America. 1st March 2015 – Masses of various marine creatures washing ashore dead on Pasir Ris beach in Dead creatures SingaporeSingapore. 1st March 2015 – Mass die off of fish and reptiles due to burst fuel pipe in Tabasco, Mexico. 28th February 2015 – 100 dead or dying turtles found in the Bellinger River in NSW, Australia. 28th February 2015 – 97 dead sea birds found along beaches of the North East coast of France. 28th February 2015 – Hundreds of dead fish found on the banks of a river in Uttar Pradesh, India. 27th February 2015 – 10,000 birds dead, 23,000 killed due to avian flu in Monywa, Myanmar. 26th February 2015 – Fish kill in 2 farm ponds in La Union, Philippines. 25th February 2015 – 5,000 Birds killed due to avian flu in Jigawa State, Nigeria. 25th February 2015 – Thousands of dead fish found, ‘no explanation’ in the port of Wolfersdorf, France. 25th February 2015 – 500 head of cattle dead from landslides in Northeast Afghanistan. 24th February 2015 – Masses of dead fish found floating in Guanabara Bay, Brazil. 24th February 2015 – Dozens of dead sea lions found on beaches in Malibu, California, America. 24th February 2015 – Thousands of dead fish wash up along Runmaro Island, ‘never seen this before’ in Sweden. 24th February 2015 – 50+ dead birds found along the waterways in Kapiti, New Zealand. 23rd February 2015 – 2,500 cattle dead due to ‘unknown disease’ in Pariang County, South Sudan. 23rd February 2015 – Fish kill occuring off the coast of Pasir Ris, Singapore. 23rd February 2015 – Mass die off of fish found floating in the Gulf of Iskenderun, Turkey. 22nd February 2015 – Thousands of dead fish found floating in the Ganges, India. 21st February 2015 – Thousands of dead crabs wash ashore on Balboa Island, California, America. 20th February 2015 – 3,000 birds have died due to another outbreak of avian flu in Katsina State, Nigeria. 19th February 2015 – 800+ (Possibly thousands) of dead turtles wash up along Odisha (different from last years incident) in India. 19th February 2015 – 150-200 Reindeer dead after avalanche in Trollheimen, Norway. 19th February 2015 – Thousands of dead fish found in the Uraguay River in Argentina. 19th February 2015 – 417,041 birds killed due to avian flu throughout Nigeria. 18th February 2015 – 100,000 birds dead, more culled in latest outbreak of avian flu in Taiwan, China. 18th February 2015 – Dozens of swans found dead and more dying on Snoqualmie River in Washington, America. 18th February 2015 – Die off of fish in Araruama Lagoon in Rio de Janeiro, Brazil. 18th February 2015 – INFO: Spike in sick and dying bats ‘sparks concern’ in Broome, Australia. 18th February 2015 – Hundreds of fish ‘suddenly die’ in Georges River, ‘reason unknown’ in NSW, Australia. 17th February 2015 – 500 sheep have died from disease in Salento, Italy. 17th February 2015 – Fish kill discovered in Manila Bay, Philippines. 16th February 2015 – Hundreds of dead fish found in a dam in Castelo Branco, Portugal. 16th February 2015 – 4,500 Birds killed due to avian flu in Bauchi State, Nigeria. 16th February 2015 – Major fish kill found in a creek in Haute-Saone, France. 14th February 2015 – 1 out of every 3 seal pups born last summer have already died in California, America. 14th February 2015 – Hundreds of dead fish found floating in a lake in Bongouanou, Cote d’Ivoire (Africa). 14th February 2015 – 140 Whales dead after 198 become stranded at Farewell Spit, Stranded whales New ZealandNew Zealand. 14th February 2015 – Dozens of dead birds found around Lake Rotorua in New Zealand. 13th February 2015 – Tens of tons of dead fish ‘is a mystery’ in Lake Singkarak, Indonesia. 11th February 2015 – 200 TONS of rock lobsters dead due to ‘harmful algae’ off coast of South Africa. 11th February 2015 – Hundreds of dead fish found in a river in Santa Catarina, Brazil. 11th February 2015 – Mass fish deaths in Lake Nasser in Sudan. 11th February 2015 – Hundreds of dead fish and birds found in a lagoon in General Baldissera, Argentina. 10th February 2015 – 2 Turtles found dead, 80 dead since January along the Adriatic coast of Italy. 10th February 2015 – Hundreds of cattle have died due to industrial pollution in Cosoleacaque, Mexico. 10th February 2015 – Thousands of dead starfish wash ashore on Isle of Palms in S.Carolina, America. 8th February 2015 – Thousands of pigeons dying in California, America. 7th February 2015 – 38 Dolphins stranded, 12 dead in a lagoon in Gaafu Dhaalu Atoll, Maldives. 7th February 2015 – Masses of dead fish wash ashore along beaches in Buenos Aires, Argentina. 7th February 2015 – Large die off of fish in a river in Fuzhou, China. 7th February 2015 – Hundreds of dead fish found in Bhogavati river in India. 7th February 2015 – 70 Monkeys found dead throughout Kheragarh in India. 6th February 2015 – Massive fish kills occuring along the Tebicuary River in Paraguay. 5th February 2015 – Hundreds of animals killed by a storm in Punta del Agua, Argentina. 5th February 2015 – Hundreds of dead fish appear, ‘causing concern’ in the Black river in Argentina. 4th February 2015 – 1.07 MILLION geese killed (more than half of geese population) due to avian flu in Taiwan, China. 4th February 2015 – 20,000 Chickens killed due to avian flu in Plateau State, Nigeria. 4th February 2015 – 16.5 TONS of fish ‘die suddenly’ in Lake Maninjau, Indonesia. 4th February 2015 – 33 Whales and Dolphins washed ashore this year already, ‘we’ve never had so many strandings’ in Ireland. 4th February 2015 – 45 dead Geese found ‘due to fatal crash landing’ in Hoeksche Waard, Netherlands. 3rd February 2015 – 135 turtles found dead between December and January, ‘a very worrying situation’ in Emilia-Romagna, Italy. 3rd February 2015 – 2,000+ Starfish wash up dead along Padre Island in Texas, America. 3rd February 2015 – 10,000 Chickens killed due to avian flu in Hampshire, England. 2nd February 2015 – Thousands of birds dying from disease at Walker Lake in Nevada, America. 2nd February 2015 – 3,000 fish found dead in Collie River in Western Australia. 2nd February 2015 – Massive die off of fish in a river in Istanbul, Turkey. 2nd February 2015 – Hundreds of dead fish found floating in Mississippi River in Iowa, America. 2nd February 2015 – 37,000 birds killed due to avian flu near Netanya, Israel. 2nd February 2015 – 50,000+ fish dead due to sewage pollution in Cartagena, Colombia. 1st February 2015 – 67 sick Sea Lions washed ashore already this year, ‘no muscle, no fat, just skin and bones’ in California, America. 1st February 2015 – 10 dead whales during the past month ‘baffle scientist’ along south coast of Australia. 30th January 2015 – INFO: 8 Million+ animals died in 2014 alone from vehicles in Belgium. 30th January 2015 – Hundreds of birds dying ‘a mystery’ in El Reno, Oklahoma, America. 29th January 2015 – 5,000 Birds to be killed due to avian flu in Washington State, America. 28th January 2015 – 60,000 fish dead due to pollution in a canal in Leicestershire, England. 28th January 2015 – Large die off of fish in a pond in Ambikapur, India. 28th January 2015 – 16 cows killed by lightning in Botucatu, Brazil. 27th January 2015 – 450 Turkeys dead, 8,000 culled due to bird flu in Kollam, India. 27th January 2015 – Mass stranding of dolphins, 4 or 5 dead along beaches in Pangasinan, Philippines. 27th January 2015 – Hundreds of dead fish found along the Ngaso river in Indonesia. 26th January 2015 – Hundreds of sea birds found dead on a beach in northern Iceland. 26th January 2015 – 350 turtles washed up dead during past 2 months ‘is worrying’ along Rio Grande do Sul, Brazil. 26th January 2015 – 300 Birds dead ‘due to hailstorm’ in Ivaipora, Brazil. 26th January 2015 – Hundreds of dead fish appear in a dam in Apodaca, Mexico. 26th January 2015 – Hundreds of dead fish found in a river in Saint-Loup-de-Gonois, France. 24th January 2015 – 40,000 turkeys to be killed due to avian flu in Sharon Region, Israel. 24th January 2015 – 4 TONS of fish die suddenly in fish ponds in Guangzhou, China. 23rd January 2015 – 10,000 dead fish found in the Lujan River in Argentina. 23rd January 2015 – 5,000+ dead fish in Oyster Creek in New Jersey, America. 23rd January 2015 – Large amount of dead fish found along an estuary in Bay of Plenty, New Zealand. 22nd January 2015 – Hundreds of dead fish appear in canals in Padre Island, Texas, America. 21st January 2015 – 22,573 birds killed due to avain flu in 7 states across Nigeria. 21st January 2015 – 73,000 birds killed due to avain flu in Kyushu, Japan. 21st January 2015 – 200 Birds dead covered in ‘mystery goo’ in California, America. 21st January 2015 – Hundreds of dead fish found in ponds in Brownsville, Texas, America. 20th January 2015 – Mass die off of Tuna at a sea life park ‘baffle experts’ in Tokyo, Japan. 20th January 2015 – Hundreds of dead mackerel found in a lake in Nova Scotia, Canada. 20th January 2015 – Hundreds of dead fish appear in a canal in San Justo, Argentina. 19th January 2015 – Another 220,000 birds killed due to avian flu in Taiwan, China. 19th January 2015 – Massive fish kill along a Canal in Fort Myers, Florida, America. 19th January 2015 – Thousands of dead fish found in a river ‘baffle authorities’ in Gorakhpur, India. 19th January 2015 – 30 Bighorn sheep are dead ‘due to pneumonia’ in Montana, America. 19th January 2015 – Large die off of fish in a lake in Hanoi, Vietnam. 19th January 2015 – Thousands of fish die in a lake in Paranaita, Brazil. 18th January 2015 – 314 turtles wash ashore dead along beaches in Chennai, India. 18th January 2015 – Fish kill found in the waters of Holstein in Switzerland. 17th January 2015 – 100,000 turkeys killed due to avian flu in Aviel, Israel. 16th January 2015 – Dozens of sea birds found dead on a beach in ConCon, Chile. 16th January 2015 – 14 whales and 16 turtles washed up dead in Baja California, Mexico. 16th January 2015 – 200,000 chickens killed due to avian flu in Okayama, Japan. 15th January 2015 – Thousands (8 TONS) of fish wash up dead along beaches in Sao Paulo, Brazil. 15th January 2015 – 10,000 fish have died ‘due to algae’ in Lake Mission Viejo, California, America. 14th January 2015 – 160,000 birds killed due to avian flu in Taiwan, China. 14th January 2015 – 554 sea birds and 4 sea lions found dead on beaches in Baja California, Mexico. 13th January 2015 – 20,000 birds have died from avian flu in Jiangxi, China. 13th January 2015 – Dozens of birds found dead in Sultanpur National Park, India. 12th January 2015 – 2,000 Cattle are dead due to disease in Jonglei State, South Sudan. 12th January 2015 – Hundreds of pigeons are ‘falling dead out of the sky’ in Antrim, Northern Ireland. 10th January 2015 – Thousands of dead starfish wash up in Westerland, Dead Starfish in GermanyGermany. 10th January 2015 – Thousands of dead fish found in a river in Oaxaca, Mexico. 10th January 2015 – Thousands of fish dead ‘due to pollution’ in a canal in Leicestershire, England. 10th January 2015 – Thousands of dead fish found in a lake in Jabalpur, India. 9th January 2015 – 1,370 birds dead due to avian flu in Kano, Nigeria. 8th January 2015 – Thousands of birds ‘die suddenly’ due to avian flu in Lendah, Indonesia. 8th January 2015 – 150 Birds dead due to oil spill in Northwest Ohio, America. 7th January 2015 – UPDATE: 100,000+ dead seabirds found since October along west coast of America. 7th January 2015 – Hundreds of animals dead from wildfires in Southern Australia. 6th January 2015 – 10 dead beacked whales during the past couple of weeks ‘baffle experts’ on West Coast of Scotland. 6th January 2015 – Thousands of fish have died in Sher Shah lake in India. 6th January 2015 – Hundreds (possibly thousands) of dead snapper fish found, ‘a mystery’ in Doubtless Bay, New Zealand. 4th January 2015 – Thousands of fish have died in a fish farm in Kampung Baru, Malaysia. 2nd January 2015 – 7 Turtles found washed up dead during past week in Cattolica and Rimini, Italy. 2nd January 2015 – Large amount of dead fish wash ashore on a lake in Carlos Paz, Argentina. 2nd January 2015 – Thousands of dead birds washing ashore along the coast between California and Washington in America. 2nd January 2015 – Hundreds of dead fish found in a lake in Nevada, America. The butcher’s bill, ………. hell of a list. A great deal of tragic dying. Much of it unnecessary. It is a list that beggars imagination. It is a list of omens. It is a heroic duty you have accepted. It really does beggar thought to see so much loss. We are all diminished by this. A bit of what could be has faded into nothing. Well that’s a list for a lot of thinking? First it seems that well over 90% of the reports are from the northern hemisphere. Second it is easy to take out the lines that are said to be caused by direct weather events, pollution etc., which we can put down to accidents. Third the spread over the northern hemisphere is very wide from Ecuador to Finland and Alaska. The line about the 70 dead monkeys I found a bit odd as almost all the other events were to do with birds or water species, leaving the weather events out of the equation. If I had time I would like to put the types of deaths into columns for clarity. These kinds of events must be getting a great deal of study from scientists, not all of course but when you consider how vital fishing is to humans for food then if things go wrong with the normal life cycle like this, then there will be investigations. Some of it will be pollution but there may be other factors here and weather or temperature may also not always be a factor, as the times of year are so spread out along with the temps at the times of the deaths. Still good post, lots to think about here, I’ll send it one with a link to those who know a lot more than me about the living world. I salute you for your investigative work, compiling the list must have taken a huge bunch of time and shares your grave concerns. I never used to be conscious of our ecology or particularly care. Only recently I realized how much they matter, and now I read how fast they are disappearing (especially because of our uncaring industrial efforts). This in today’s Washington Post from Chris Mooney on the Whales in Alaska . . . .
Wow. Thank you for that list. Viewing all these events as a single list makes me terrified, and deeply heartbroken for the millions of beautiful creatures/species that we’re wiping out as if they were garbage. OKANOGAN, Wash. (AP) — The massive fire burning in north-central Washington is now the largest in state history. The Okanogan Complex was measured overnight at just over 400 square miles, slightly more than the Carlton fires, which also burned in Okanogan County. The Okanogan Complex grew by more than 26 square miles Sunday and is expected to grow even more in coming days. Isaacson did not have a containment estimate, but there is very little containment on the wildfire. Isaacson called the record unfortunate and said the fire could burn until rain and snow season arrives. – That is what it is. Oh and I see Watts is attacking me again. Not that it matters so much as the price of tea in China what that buffoon has to say. So much to deny, so little time. Although Watts and his ilk are reprehensible and should be ignored (or jailed), I would take personal attacks as a compliment, Robert. It’s a sign that your voice and hard work are making a difference. You’re right, Ryan. All the right enemies… But in my view it’s a bit worse. I think the kind of influence peddling that comes from the fossil fuel Giants, through agencies like Heartland and then through people like Watts is deleterious to democracy. We want to take the money out of politics. And that would be a great start. But taking the money out of fake charities that instead actually support a for profit interest would really help as well. one point about your opening paragraph: although it may be a perception that the Northwest US — a region known for its damp climate, its rainforests, and for often cool and wet weather —, the actualamount of land area east of the Cascade crest in the PacNW states is much larger than the area containing the rainforests. .
Kinda splitting hairs here. We have large fires now burning in the traditionally wet region. Instead of the gradual death of forest trees due to drought stress and insects, fire can cause abrupt changes in vegetation cover. Introduced invasive plants can spread and add fine fuel, and if fire frequency increases, recovery of original vegetation and wildlife is blocked. The result is a permanent decline in productivity and biodiversity. – A memorable NW wildfire quote. It’s serious but I had to cackle with glee on hearing such a honest visceral statement. ( I, also, take it as a reference to the sacrificial deaths of 19 Granite Mountain Hotshots in 2013.) It’s worth hearing on the 56 sec. audio. ‘Firefighters on the Okanogan Complex are grappling with low visibility and winds up to 40 miles an hour, making it nearly impossible to rely on support from airplanes and helicopters. Incident Commander Todd Pechota says that also makes it harder to decide when it’s safe to deploy ground crews to protect homes and infrastructure. – Relevant as wildfires burn as homo saps insist on indefensible, and fossil fuel dependent, incursions into our wildlands. I watched this story carefully at the time a sit became obvious the tragedy involved the protection of ‘stuff’. It’s the same with FF jobs andFF consumer crap — really, it is. 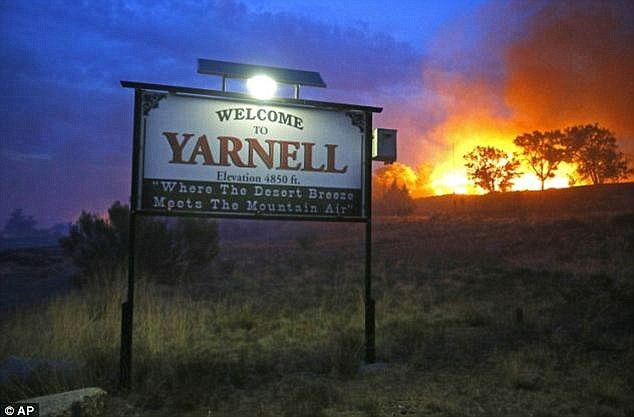 The members of the Granite Mountain Hotshots were engulfed by wind-whipped flames on the third day of a lightning-sparked blaze that destroyed scores of homes and charred 8,400 acres in and around the tiny town of Yarnell, northwest of Phoenix. The June 30 disaster marked the greatest loss of life from a U.S. wildfire since 1933, when more than two dozen firefighters were killed battling the Griffith Park fire in Los Angeles. 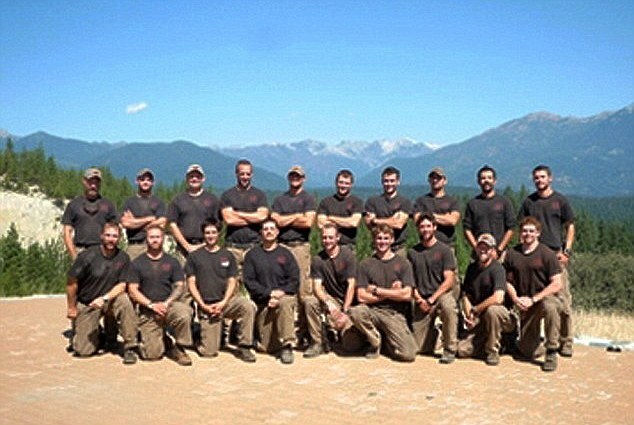 Granite Mountain Hotshots pre June 13, 2013. Here in my village of 600 people in southern British Columbia, we just had about 500 fire evacuees. We managed to house and feed all of them before government help arrived. Our village became the forward attack base for several giant fires, with 10 helicopters and 150 firefighters camped in tents in the park. Yesterday and today, the ‘copters can’t fly, and the streets are empty, so choking is the smoke. Visibility about 1 block. The city of Grand Forks held an emergency meeting, determining the townfolk would try to flee eastward if the giant Stickpin fire crossed from Washington State into Canada. That will work if fire crews can keep yet another fire from closing the highway. So this isn’t an academic discussion. The June heatwave, over 100 degrees many days, is unheard of. I can see parts of the bottom of our local river drying up. If this isn’t climate Hell, it’s a good introduction to it. Wow, Alex, very sorry to hear you’re in the thick of this. Do you mind if I repost this to alert others of the situation on the ground? In any case, that sounds like a pretty amazingly rough situation. Very sorry to hear you’re in the hot zone, Alex. – Here’s a link and map to BC First Nations. Thanks, DT. They’re right on the front line of some of these fires. Should be pretty clear that there aren’t any safe havens… The safest thing to do would be to stop dumping carbon into the air as swiftly as possible. The fires must be part of the Okanogan Complex that I mentioned earlier. Thanks for your words, Alex. Keep in touch when you can. Best regards to the people of your village. – Colorado experienced readers (in relation to wildfires etc.) might want to look again at the 1994 fire near Glenwood Springs on Storm King Mountain. Lessons on deployment, up slope-down slope fire behaviors — and rapidly changing weather. Our 2015 weather is full of extremes. Twenty years ago, at 4 p.m. on July 6, a wave of flame swept along a ridge on Colorado’s Storm King Mountain, killed 14 firefighters, and became a benchmark for wildland firefighting with repercussions that continue to this day. DT: I have a close friend who’s lived in Glenwood all his life. I lived in Carbondale(next town over for others who may not know) one winter/spring. This fire still haunts him. He’s not a firefighter but got very involved. He has rental property along the river banks. It looks like that’s the Roaring Fork in the background? Sadly summons up the mass media’s indifference to GW. ‘HARWICH, Mass. — The Massachusetts Department of Environmental Protection (DEP) has scheduled a public meeting for Aug. 26 to seek comment on a draft document identifying the need to reduce nitrogen pollution in the Cape Cod coastal waters of Allen, Saquatucket and Wychmere harbors and in the Herring River. Loss of eelgrass beds, which are critical habitats for fish and macro-invertebrates such as sea worms, snails and crabs. Undesirable increases in macro algae, which are much less beneficial than eelgrass. Periodic extreme decreases in dissolved oxygen concentrations that threaten aquatic life. Reduced diversity in sea-bottom-dwelling species such as worms and clams. – Nitrogen Industry and a Security State — Public Safety or Secure the N. Enterprise? US Nitrogen has hired a staff of eight permanent security guards, including a lead security guard to supervise the team. The creation of eight additional jobs completes US Nitrogen’s hiring in anticipation of the plant’s opening later this year, according to a company news release. The security team, which will start in the coming weeks, will coordinate efforts with US Nitrogen’s security contractor, A Services Group (ASG), which has managed security of US Nitrogen’s construction site. The past two days these PNW fires have triggered air quality alerts where I live, Albuquerque, NM! Smokey haze yesterday at times visibility was less than 3 miles, when normally you can see many miles. Cold front brought it here. I like to ask people if they know where the haze comes from, offers a moment to inform. – Fish without water. It keeps getting worse. So, just some bits. And, without salmon all peoples in the NW and PNW would have had to live on berries and tree bark . The drought’s toll on California has been measured mostly in terms of idled cropland, dried up domestic wells and brown lawns. Less visible but more devastating has been damage to native fish that struggle for survival in the best of times. Salmon eggs and emerging fry need cold water to survive. The river temperature shouldn’t top 56 degrees. Last year in the spawning grounds below Keswick, it climbed above 62 degrees. Only 5% of the 2014 brood stock lived. The U.S. Bureau of Reclamation, which operates the dams, had miscalculated the volume of cold water in Shasta and didn’t have enough to maintain the proper river temperature. The problem wasn’t just that the drought had slashed runoff that fills the lake; the computer model used to predict cold water storage was wrong. Well we have flooding due to extreme rainfall in England and France. These events are coming thick and fast. Thanks for sharing that Spike, I grew up not so far from Tunbridge Wells, never saw anything like that, still the deniers tell us it’s not unusual, who are they trying to kid ? Redskylite: I too grew up near Tunbridge Wells in Tonbridge. I can remember the Medway flooding by Tonbridge Park in 1959. I don’t remember floods in Tunbridge Wells . Was this so localosed that it did not affect the Medway in Tonbridge? For other readers, the towns are a little over five miles apart. The Met Office said Eastbourne town centre had seen 60mm (2in) of rain since 03:00 BST, with the majority of it falling between 10:00 and midday. It said there was more rainfall in nine hours than the average of 51.6mm for the entire month of August. Winter strength storms coming far too early. Not looking forward to the real winter show. I’m in Cottage Grove OR just south of Eugene and the past few days have been very smoky. I’m taking refuge in my wood working shop because I have to wear a find dust mask there anyway. Saturday nights there is auto racing at the Cottage Grove speedway and I can hear it from where I live. It’s one of those ‘feels like my head is going to explode’ situations with the human climate-change driven wildfires on one side and the beer guzzling yahoos burning great quantities of fossil fuels on the other side. They wouldn’t be able to make the connection in a million years. Hi, Eric, I know what you mean. At my location I can gnashing screams of the hyper aggressive idiots at Portland International Speedway even as many of our trees are being eaten alive by the toxic atmosphere around here. Man does that sound both rough and ridiculously annoying. Strong smell of smoke plus the loud guffaws of yahoos at the race track sounds like some setting for a Stephen King novel. Reading all the comments from you guys and gals on the west coast gets a bit surreal, Eric. It kinda makes me feel like we’re entering this unkind wilderness of fossil fuel’s making. A place of smoke and burning, increasingly deadly water, and filled with loud mouthed fools who can’t for the life of them figure out what the hell is going on. – And the howling overpowered engines and their emissions, the screeching of tires as they shred and become part of the atmosphere or the landscape. And the fans that race up and down our streets in imitation in displays of vicious aggression. All licensed by the State of Oregon, and powered by the fossil fuel industry- and blessed by the US Congress. In Dec. World Leaders are to meet in Paris to discuss Global Warming, at issue is the amount of greenhouse gases we our emitting, and their plan of action, to Stop this Heating Up and Burning Up our Planet ! Globally we our emitting 40 – 50 Billion Toxic Tons of Carbon Dioxide a Year. In the 1850s – 1870s parts per million of Carbon in our atmosphere was between 260 – 280. In the 1980s, there was 350 ppm of Carbon. 2015 – 404 ppm in Our Atmosphere. We have passed the 1C. baseline Temp Increase ! India, Pakistan, Japan, and the Middle East, Record Breaking, Killing Heat Waves ! The Pacific Ocean is 3 – 8 degrees warmer than Normal, and Flowing in to the Arctic Ocean ! Massive Whale, Salmon, Starfish, Sea Lions Sea Stars, Sea Urchins, and Bird Die – Offs ! The Jet Stream is acting like a balloon that is loosing air. The Arctic Ice and Snow may be gone at the end of this Summer. A Huge Natural Cooler for the Northern Hemisphere. The meeting in Paris, should be about Closing the Fossil Fuel Faucet. With people like this driving the IPCC you can see why we are all done for.” Kevin Hester. California emitted 459 Toxic Tons of Carbon Dioxide in 2014. “Updates to the 2020 Limit. “Ice sheets contain enormous quantities of frozen water. If the Greenland Ice Sheet melted, scientists estimate that sea level would rise about 6 meters (20 feet). If the Antarctic Ice Sheet melted, sea level would rise by about 60 meters (200 feet).” National Snow and Ice Data Center. When will Sea Level Rise to 220 – 300 Feet ? 2020 ? 2025 ? ? What will the ppm of Carbon be when this happens ? As of Now, they are talking about capping GHGs at 450 ppm. What will the Temp. be at 450 ppm ? What temperature would be locked in at 450 ppm ? In 2005 an authoritative symposium stated this. I haven’t seen many statements since that 10 year old conclusion, so it remains good as far as I’m concerned and means we are tottoring on the border from high certainty to medium certainty. That is not good at all. The window for keeping the global land-ocean surface temperature anomaly rise under +2°C is very nearly closed, Paris is our last chance and there are not too many signs for optimism. In 2005 an international symposium on stabilisation of greenhouse gas concentrations – called avoiding dangerous climate change took place, at the invitation of the then British Prime Minister Tony Blair and under the sponsorship of the UK Department of Environment, Food and Rural Affairs (Defra), at the Met Office, Exeter, United Kingdom, on 1-3 February 2005. The conference brought together over 200 participants from some 30 countries, mainly scientists. Back in 2005 the annual mean atmospheric CO2 level at Mauna Loa, Hawaii was 379.80. among the symposium summary was this bombshell.. This year Earth will be around a mean of 400ppm CO2, so according to the ten year old symposium we are now crossing the high certainty boundary to medium certainty. That is not good at all. The book has been prepared by an editorial board led by Hans Joachim Schellnhuber (founding Director of the Potsdam Institute for Climate Impact Research and Chair of the German Advisory Council on Global Change) and contains extended and peer-reviewed versions of the papers presented at the conference. As the UK ex-Prime Minister Tony Blair has said, “this book will serve as more than a record of another conference or event. It will provide an invaluable resource for all people wishing to enhance global understanding of the science of climate change and the need for humanity to act to tackle the problem. Following the Paris meeting the next important milestone is the U.S election, fingers crossed on that . . .
We also need to consider that they’re talking about warming this century. In other words, ECS warming. The problem is that the world does not simply exist in an artificial century timescale. At 405 ppm CO2 and 485 ppm CO2e we’re already at the 1.5 to 2 C boundary for this Century and we’re facing a range of 2.5 to 3.9 C long term. This is why we need to be looking at rapid drawdowns of carbon emissions to zero and then looking at atmospheric capture in order to bring the total below 350. We should be saying that we’re really beyond any safe limit. That there’s no carbon budget left. 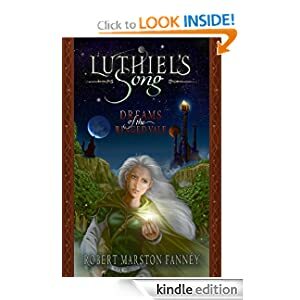 Robert, Thank you for those words of wisdom and your expressive literary style, speaks a great message. I thought during the release of J. Hansen’s new paper that the result between the ice cap meltdown, whether it stays near-linear or has become exponential, is only a matter of a few generations and the false endpoint of 2100 in not important. My father served in WWII, my grandfather served in WW1 and lived under Queen Victoria’s reign. How quickly the time goes by, how short is a lifetime ? Seems to me the ice melt will become increasingly exponential and we will see Heinrich events sooner than later . . and that is just the start . . Absolutely, Redsky. Absofrigginlutely. Is our century so important that nothing coming after matters? How about planning for the 22nd Century to be better than the 21st — not some repository of future hothouse extinction causing waste gasses simply because we could only myopically consider the next 85 years. We have civilizations with mult-generation impact potential. We need to start generating policies that take the long lasting impacts of our decisions into account. I couldn’t agree with what you’ve said more. Life is short. 100 years is the flutter of an eyelash compared to the climate impacts of long lasting CO2 — which can often be measures on million-year timescales. Rat has been selling his XS to PG&E for a few years now. I haven’t paid a cent for electricity since we had the first carbon-tax rebate. Robert, today I sent KBOO PM News paragraph 1 & 6 plus the link to this post. 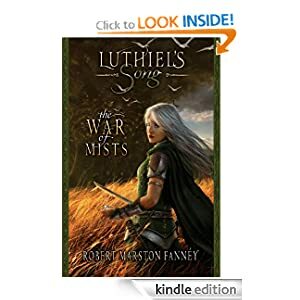 All were read on the air at 5 o’clock PDX time, “Across the Northwest US … according to robertscribbler…”. It starts at the 5 min mark. Wow, DT. Thanks for sending this on. My best wishes to everyone out there in the U.S. West. My sense from eyewitness comments here is that your story is not being fully told. If the fires are so pervasive that a broad segment is now directly threatened, or is forced to wear particulate masks due to low air quality, then the fires are a profound impact. They’re the upshot of a climate state that’s undergoing dangerous transitions. And that’s what you guys are living through right now. A degradation and a loss of the beautiful, mild, and life supporting climates we’ve relied upon for so long. It’s heart wrenching to see this happening. But what is worse is the silence. A kind of stunned shock in which few words or thoughts arise. And that is unacceptable. The story must be told. – Color us green — algal green — nutrient rich nitrogen green. Nice! Great job dt! And, as always, great job Robert! Well, in New Orleans we have a smallish fire in the Bayou Savage NWR. Plus, we also have heat injury to plants that are zone-hardy or even native vegetation: I’ve seen scorched trees and bushes (cypress, oleander, indian hawthorne, etc) adjacent to broad streets and highways. Not good. These are trees that are used to a steamy environment. I suppose it all just depends on degree. Ed-M, sorry to hear about “heat injury” to plants but you may also be seeing accelerated damage from aerosol pollution which usually is full of caustic chemicals, petro by-products, etc. Hot steamy conditions make for a nice medium for rapid chemical reactions that destroy or damage biotic tissue. I’m also thinking that our chronically moisture laden atmosphere magnifies heat from the sun which adds to the problem. DT, yes, it’s weird down here. This sort of scorching accenuated by the toxic particulates, etc., don’t seem to affect the plants on the Avenues or leafy green side streets. Apparently, the shade still protects the plants from injury down here. The further away from lots of motor vehicles and broad sunlit areas combined the less plant injury there is. Or the side of the tree nearest a road, or closest to an intersection, or wind coming from the traffic. It’s like that. Thanks for noticing. Not a pretty sight. Carbon Monoxide concentrations up to 10 ppm (10,000 ppb). Lake Baikal in Russia also looks bad. Thanks Leland, notice too the dead air over the region. To the west winds are out of the north but to the east the winds are out of the south. – Pull out and see two lows rotating in Gulf of Alaska — plus warm moist air heading to Bering Strait and Chukchi Sea as Robert earlier pointed out. Red dots are thermal anomalies. The time controls on the bottom of the page allow seeing past data. The image can be zoomed and panned. The Layers menu on the upper left allows adding, subtracting, or hiding data products. We have unprecedented access to information…showing us disasters and tragedies. And it’s all so avoidable, if we do the right things technically and socially, I think. – Here’s a good example of air pollution we misname as air ‘quality’. See, another example linguistic sleight of significance used to minimize a health threat facing a population. America excels at this twisted lexicon manipulation. – Note too that trees and plants also breathe through respiration. 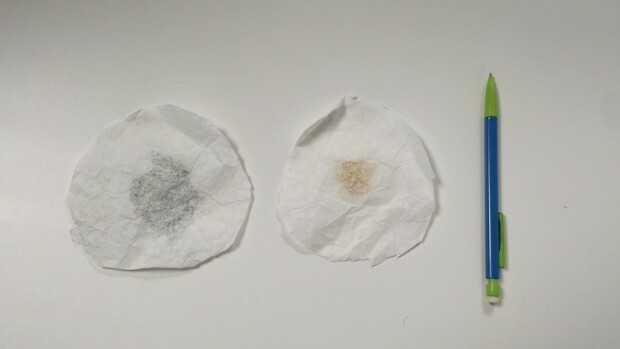 ‘What Does That Air Pollution Reading Actually Mean? Share My Air converts air quality data into more relatable terms, like the equivalent number of cigarettes smoked. The World Health Organization guideline for safe air is an annual average of 10 micrograms per cubic meter of PM 2.5, for instance, but what does that really mean to the average person? A new interactive graphic called Share My Air eliminates that confusion by converting real-time air quality data from cities into the equivalent number of cigarettes smoked, time spent in a car with a smoker, and time spent living with a smoker. Kevin Kononenko created the program to communicate how dirty air affects personal health and to encourage people to reduce their local air pollution footprint. 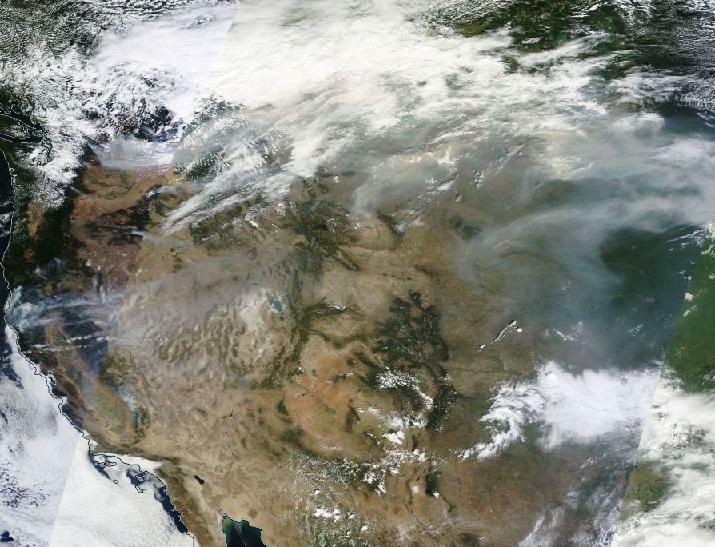 Satellite images capture the ongoing onslaught of wildfires in the Western U.S. There just seems to be no end in sight for these beleaguered states. 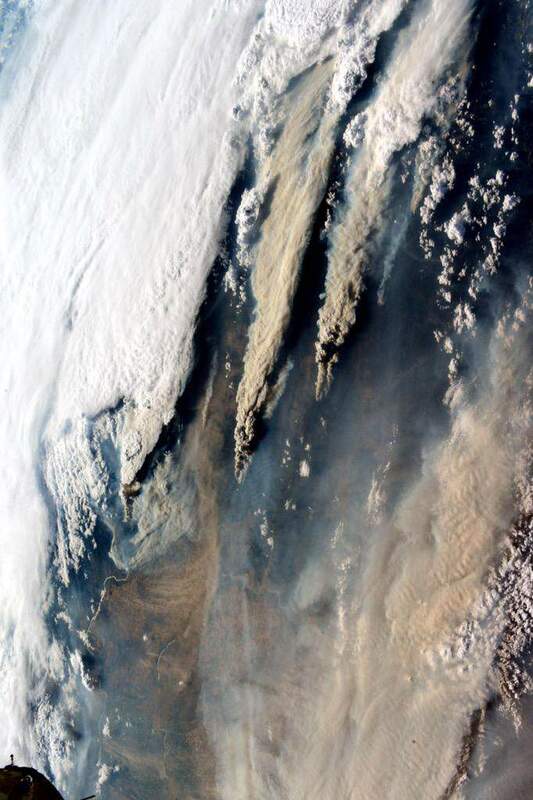 On August 21, 2015 the Aqua satellite captured this image of the smoke from the fires on the west coast of the United States wafting eastward on the jet stream. 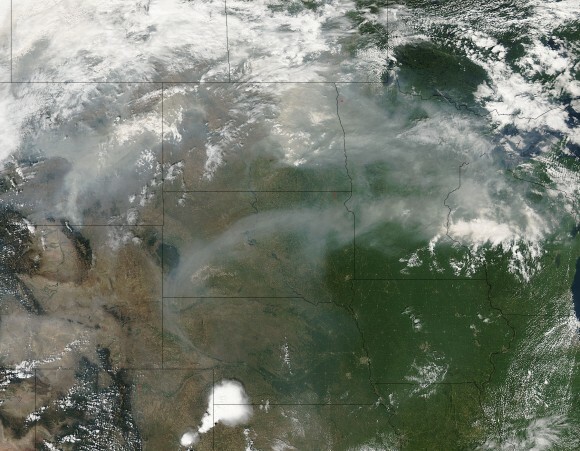 In this image the smoke is obscuring parts of Montana, North and South Dakota, Minnesota, and Wisconsin. Residents of these states are on notice that sunsets will be much redder and more orange as long as the smoke lingers over their area. The reason? The size of the smoke particles is just right for filtering out other colors meaning that red, pink and orange colors can be seen more vividly in the sky. Image credit: Jeff Schmaltz, MODIS Rapid Response Team. – Art must boldly speak where custom fails. – Note also that America’s embrace of the pure fantasy of Disneyland was a disconnect with reality. Even one of America’s most iconic landmarks is not immune from pollution. The Grand Canyon segment of the Colorado River is suffering from exposure to toxic chemicals, including mercury, according to a study from the U.S. Geological Survey (USGS). – The horrific and unmitigated body counts of air pollution in just one country. Why the disconnect? If you poison your air — you die. Or you watch your family die before your eyes? The disconnect! We must change that. – This ‘air pollution’ is the base of the GHG climate changing pyramid. It always has been. New research from Berkeley Earth has found that air pollution in China is directly implicated in the deaths of roughly 1.6 million people a year. In other words, roughly 17% of annual deaths in China are related to the country’s air pollution problems. To be more exact here, the findings are the result of an analysis of hourly air pollution data (PM2.5, PM10, SO2, NO2, O3, & CO) gathered at over 1,500 different locations in the country; and the actual results are for 0.7 to 2.2 million annual deaths at a 95% confidence rate. “In this pic posted at Daily Kos, there is a lot of irony. In fire-devastated Washington state, the gentleman on the right is thanking exhausted, hard-working fire fighters for saving his house, while wearing a tee shirt that says, “Lower Taxes + Less Government=More Freedom. Presumably the gentleman is one of those free market freeloaders who hates the government, hates taxes, but wants to drive on the roads, fly safely in the skies, use the internet, get weather data from satellites, have clean water to drink and safe food to eat, to keep poison tainted toys away from his children, and send them to good schools, but who apparently thinks all these services, including, when needed, police and fire protection, and for that matter, climate protection, will come for nothing, provided by untrained people who work for sub-minimum wages. It doesn’t look any better than yesterday, or the day before. It looks worse, I think. The carbon monoxide, at least, appears to be spreading. NASA Earthview for yesterday. Red dots are wildfires. Green dots are population centers. The time controls on the bottom allow looking at past data. The Layers menu on the upper left allows data products to be added, subtracted, and hidden. I’m right in the middle of this, with a 40,000+ acre monster burning within 20 miles of where I live. It really brings the issue of climate change to the foreground of one’s thinking. Perhaps it will make a tiny little bit of difference for people to read something from a concerned landowner, seeing firsthand the effects of a warming and drying climate. Robert, we are in Stevens County, Washington, about 40 miles north of Spokane. Our friendly neighborhood mega-fire burned another 10,000 acres in the past day, though it doesn’t look to be heading in our direction. But it is very sad for me to witness the destruction of so much forest and know that much more is yet to come.